First start the Expert layout editor program, either with the command expert or by clicking the expert icon. From the main menu bar at the top, click File --> Open to pop up the Load Project menu, navigate to the directory into which the hipex_ex03.eld design database file was downloaded and Open it. This will call up the Open Cell(s) menus, and here double-click mux4 . By default this shows the hierarchical view of the design; you can see the full details by clicking View --> Cell View --> Flat (see figure1 ). The next step is to load the required Hipex technology files and change any settings to customize the extraction. From the main Expert menu, click Verification --> Extraction --> Setup ; this pops up the Layout Parameter Extraction Setup panel. The pages within this panel are accessed using the menu on the left. The Netlisting page shown on figure2. 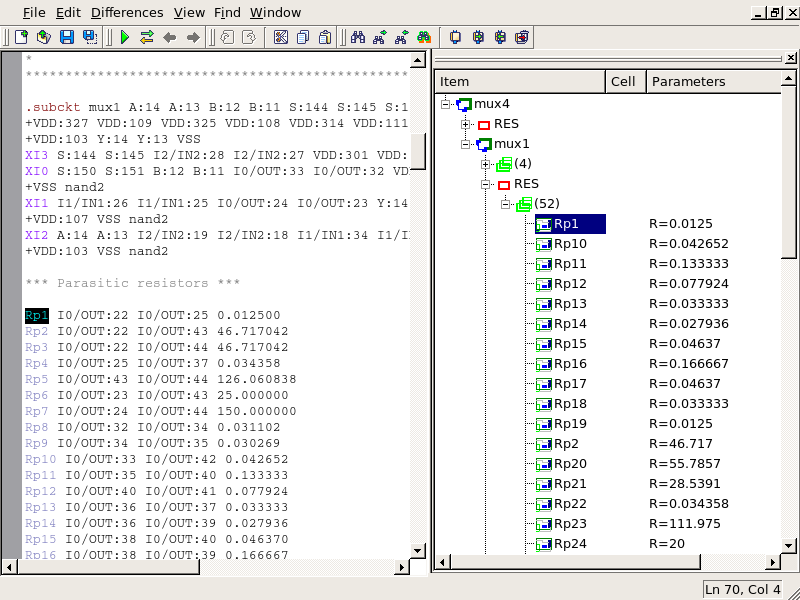 The first page Layout shows the Database file and Top cell; by default these are set to the currently open database and cell. 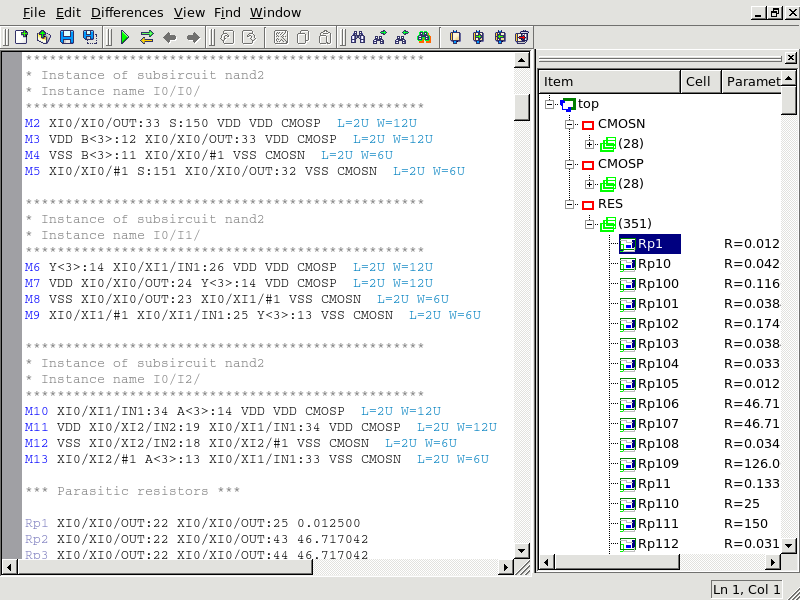 The second page, Node Names , controls how instance and net names are derived. Specifying Global node names (eg, VSS for Ground) will cause those names to be declared as *.GLOBAL in the extracted netlist. The fourth page, Cell Explosion , controls the extraction of the design hierarchy. The default is to EXPLODE all cells, which has the effect of producing a flat netlist in this simple example; to create a fully hierarchical netlist, click Set all --> Hcell. The fifth page, Netlisting , controls the details of the extracted netlists and parasitic files which will be generated. Default filenames for all the possible types of output are generated based of the current design/cell, but you can change any of these. 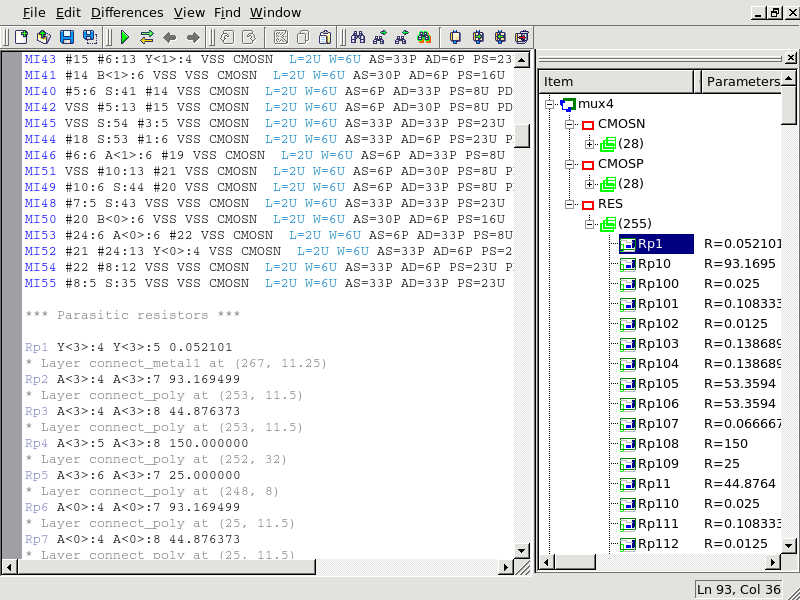 You can also select options, for example in the Parasitic Resistor netlist section, checking XY location and Layer names will cause the coordinates and material of each resistor to be output as a comment in the netlist next to the resistor. The sixth page, Technology , is where you need to specify the technology files for the extractions. 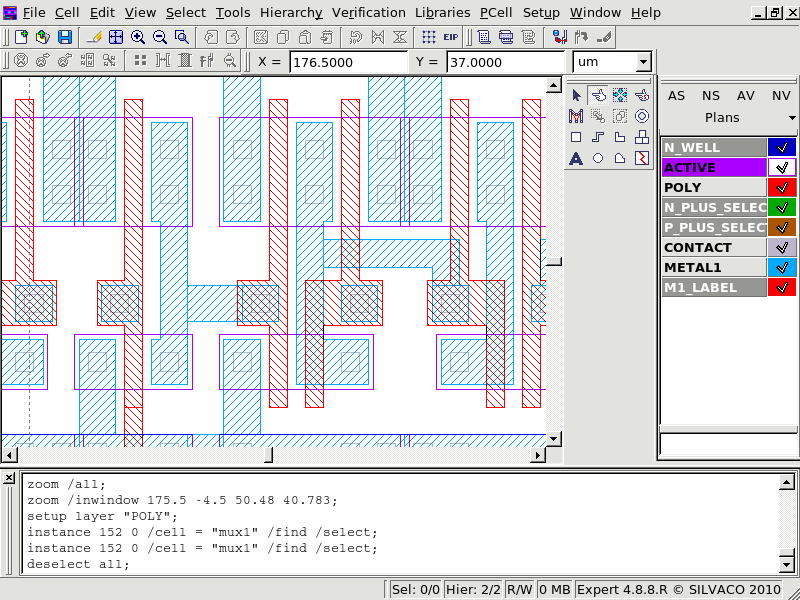 For Derived layer generation , select Use external script and use the file browser to specify the hipex_ex03_lvs.dsf file previously downloaded. This file controls the generation of device recognition layers from the drawn/mask layers. To do a parasitic resistance extraction, you must select Use external LISA script in the Parasitic resistance technology section and use the file browser to specify the hipex_ex03_r.lisa file previously downloaded. The netlist extraction can now be run, with Verification --> Extraction --> Hipex-Net --> Run from the main Expert window. This step is necessary even if only the parasitics are required, because the full connectivity must first be extracted to identify all the nodes. The effect of selecting XY location and Layer names in the Netlisting control page is shown in Figure6 ; this information can assist with identification and rectification of any troublesome parasitics in a layout.